The Housing Act 2004 governs Shorthold Tenancy Agreements and came into force on 6th April 2007. It was later amended by the Localism Act 2011 and Deregulation Act 2015. 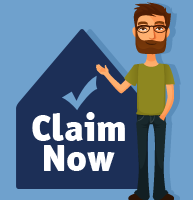 Any tenancy deposit paid to a person in connection with a shorthold tenancy must, as from the time it is received, be dealt with in accordance with an authorised scheme. Where a landlord receives a tenancy deposit in connection with a shorthold tenancy, the initial requirements of an authorised scheme must be complied with by the landlord in relation to the deposit within the period of 30 days beginning with the date on which it is received. i.e. the landlord must provide proof of the deposit and a leaflet explaining about the scheme chosen. (1A) Subsection (1) also applies in a case where the tenancy has ended, and in such a case the reference to subsection (1) to the tenant is to a person who was a tenant under the tenancy. (b) is not satisfied that the deposit is being held in accordance with an authorised scheme, as the case may be. (b) order that person to pay the deposit into the designated account held by the scheme administrator under an authorised custodial scheme, within the period of 14 days beginning with the date of the making of the order. The Court must order the landlord to pay to the application a sum of money not less than the amount of the deposit and not more than three times the amount of the deposit within the period of 14 days beginning with the date of the making of the order. Where any deposit given in connection with a shorthold tenancy could not be lawfully required as a result of section 213(7), the property in question is recoverable from the person holding it by the person by whom it was given as a deposit. In subsection (5) “deposit” has the meaning given by section 213(8). (b) section 213(3) has not been complied with in relation to the deposit. Subject to section (2A) if section 213(6) is not complied with in relation to a deposit given in connection with a shorthold tenancy, no section 21 notice may be given in relation to the tenancy until such time as section 213(6)(a) is complied with. If any deposit given in connection with a shorthold tenancy could not be lawfully required as a result of section 213(7), no section 21 notice may be given in relation to the tenancy until such time as the property in question is returned to the person by whom it was given as a deposit. In subsection (3) “deposit” has the meaning given by section 213(8). In this section a “section 21 notice” means a notice under section 21(1)(b) or (4)(a) of the Housing Act 1988 (recovery of possession on termination of shorthold tenancy).